Swimmin' Time is the highly-anticipated follow up to the band's 2012 breakthrough debut O' Be Joyful, which garnered unanimous praise from the press, followed by dozens of sold out shows, national television appearances, numerous year-end lists, impressive album sales and major festival performances. 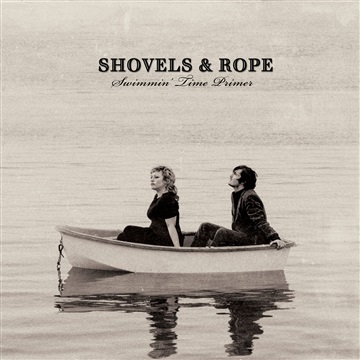 To cap it all off, Shovels & Rope took home two of the top honors, Song of the Year ("Birmingham") and Emerging Artist of the Year at the 2013 Americana Music Awards.While O' Be Joyful was recorded at home, in hotel rooms, in their van and throughout their travels, the band remained stationary by recording Swimmin' Time at their home studio in Charleston, SC with Trent again producing. Swimmin' Time features 13 new songs that maintain the elemental Shovels & Rope songwriting and sound while incorporating new ingredients to the mix. 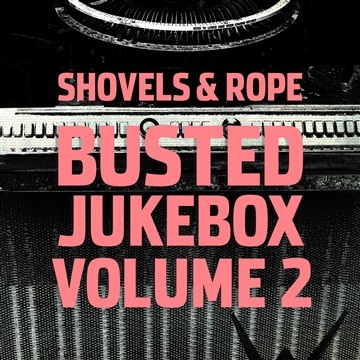 From the heady harmonies of "Devil Is All Around" and the quirky "Mary Ann & One-Eyed Dan" to the epic beauty of "After The Storm" and the Waits-ian "Ohio" fans are sure to be pleased and pleasantly surprised by some of the chosen new paths and dark turns.Shovels & Rope has appeared on The Late Show with David Letterman and PBS' Austin City Limits, while coverage ran in a multitude of outlets including The New Yorker, Wall Street Journal, USA Today, New York Times, Associated Press, Southern Living, Garden & Gun, American Songwriter, Filter, Nylon, and much more, including a NPR Tiny Desk Concert. (View Highlights). Also, the new documentary film The Ballad of Shovels & Rope, which chronicles the band's humble beginnings through the release of O' Be Joyful recently had its premiere at the Nashville Film Festival.Shovels & Rope make music that exudes raw beauty, honesty, grit and passion. Hard work does pay off; the band spent the better part of 2012 and 2013 touring almost non-stop, spreading their signature blend of rock, country, punk and folk to the masses. Their live performances are undeniable, as the couple does not sing to each other, they sing at each other, pushing one another while playing multiple instruments. "The husband-and-wife duo's chemistry and ramshackle playfulness make them difficult to resist. ", says NPR Music. Hearst & Trent throw it all out there, without a safety net, and audiences feel every nuance. The New York Times said of their debut Coachella performance, "Of all this afternoon's young bands, they were the softest, but they might make the loudest crash. "What began in tiny bars has graduated to clubs, theaters and major festivals,including Newport Folk, Lollapalooza, Sasquatch, Hangout and many others, with Bonnaroo and more coming in 2014.